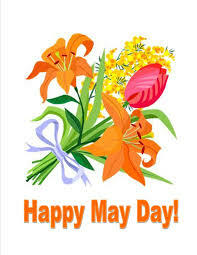 May first is traditionally know as May Day, and one tradition is to leave, or give flowers to someone you love or have a romantic interest in. Hope someone gave you flowers today! Well, I do have a finish to report, but will not be able to show a picture until after May 10th and the big reveal at Sunshine Quilt Guild. Below I am sharing the finish for the 4th month of Prairie Gathering. 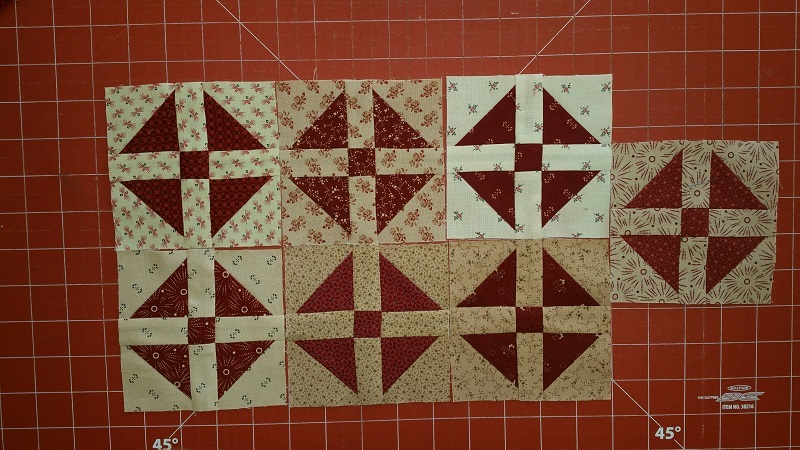 These are just a few of the Shoo-fly blocks that were completed this week for this project. 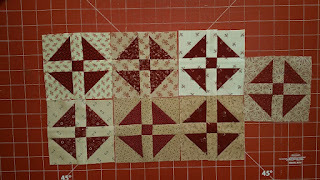 There were many other partial units that were sewn this week, but nothing added to the completed center yet. Net Fabric Used YTD: 34 yards. Check out additional reports at Patchwork Times. You are ahead of me. Haven't started April's BOM yet...two months behind on this one.